Each draftroom has a unique share link associated with it. 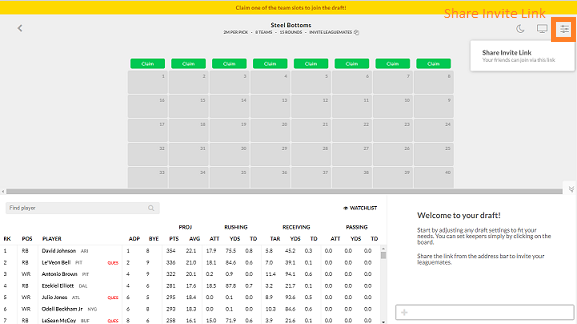 You can access this link from the settings menu in the top right corner of the draftboard on both web and mobile. The link works across all devices, and will direct your leaguemates to the best way to get straight into the draft. For example, iOS users will be taken to a page to download the app, and be dropped directly into your draftboard after downloading.